Hello everyone, Aaj hum Amazon per best deal aur very cheap price per sale hone wali SanDisk ultra micro SD 32GB 10 class memory joki 48MB/s speed dati Hain. Uski sale or Specification ke baat Karte Hai. Friends aapne Mi Max 2 or Mi A1 sale ko enjoy kiye hoga. 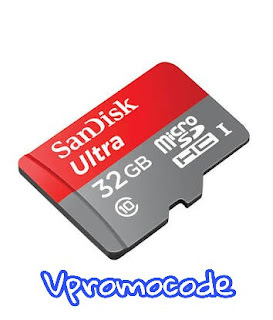 Amazon bahut kam price per sinDisk 32GB memory card de rhai Hai. Isliye aap jaldi aapna order book Kare le. SinDisk 32GB memory kasie book Kare. Sabse phale aap yeah link per click kare:- click here. Product ki add cart Kare le. Phir checkout opinion per click kare. Ager aapne Amazon per account nhi create kiye to account baana le. Phir apne shopping address details enter Kare. Uska baad peyment method ko pura Kare. 32GB memory high speed ko enjoy kare Rs. 349 mein.